Daniel Huber is the Director of the Management Center at Bern University of Applied Sciences, Professor of Innovation Management and of the University’s Executive MBA program in Innovation Management. Prof. Huber has directed the development of the program in innovation since 2008. He graduated from the Swiss Federal Institute of Technology (ETH) in Zurich with an advanced degree in Engineering and completed an advanced degree in Management at the International Institute for Management Development (IMD) in Lausanne. During his work spanning 20 years at Swisscom’s innovation division, he gained an in-depth understanding of innovation as it is practiced in large enterprises. 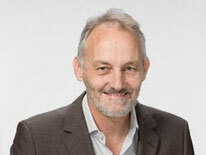 He has many years of experience in various areas of innovation management. Working together with two other managers, he was responsible for setting up Swisscom Innovations, an innovation unit with around 180 employees. 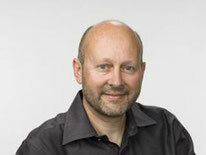 Prof. Huber is a member of the Board of Directors of swissfuture, a Swiss association of futurologists. Heiner Kaufmann is a Professor of Business Creation at the Management Center of Bern University of Applied Sciences and Director of the University’s Executive MBA program in Innovative Business Creation. He completed academic programs at the Swiss Federal Institute of Technology (ETH) in Lausanne and at the Massachusetts Institute of Technology (MIT) in Boston, USA. Prof. Kaufmann worked for almost twenty years as a manager and project manager in a number of high-tech companies, particularly in the areas of innovation and research & development. He is the founder of a startup enterprise and an innovation consulting company that was later acquired by the innovation factory Creaholic SA in 2012. In recent years, Heiner Kaufmann succeeded in developing a new learning and teaching concept for business conception. Martin Steinmann has been a successful Business Enabler in the area of information and communications technology (ICT) for more than 25 years. He has positioned himself as a skilled interpreter at the interface between technology and business. Steinmann has also been an independent enterprise consultant in the area of strategy and innovation management since 2002. His clients include prominent major corporations and numerous ambitious medium-sized enterprises. Prior to his current work, he was employed in various management-level positions at a number of international companies. 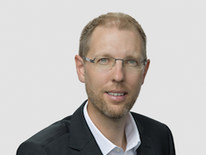 Martin Steinmann has a degree in Economics and Business Administration from the University of Fribourg (International Institute of Management in Telecommunication). With his extensive experience, he has gained an excellent reputation as a solution designer and coach, especially in start-up situations. In addition to this, he works as an expert and thesis adviser for Master’s theses in EMBA in Innovation Management at the Management Center of Bern University of Applied Sciences.